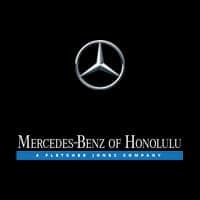 At Mercedes-Benz of Honolulu, we accept nothing less than genuine Mercedes-Benz parts for use in maintenance and repairs. Mercedes-Benz and Mercedes-AMG® vehicles require the finest parts available, so that’s exactly what we supply! We offer a range of genuine Mercedes-Benz parts specials to make it easier for Ewa Beach and Waipahu drivers to get what they need for their vehicles. Simply click “print offer,” and use your coupon at our dealership during your service visit. Must present offer at time of purchase for offer to apply. Valid at Mercedes-Benz of Honolulu. Mercedes-Benz vehicles only. Cannot be combined with any other offer or applied to past services. Does not include applicable taxes, shop supplies, and hazardous waste fees. Limit one original offer per person. Other restrictions may apply. Void where prohibited. See Dealer for details. Does it feel like you’re missing that spark? Let us help! Save 10% on Spark Plugs when purchased from our Parts Counter. Must present offer at time of purchase written for offer to apply. Valid at Mercedes-Benz of Honolulu. Cannot be combined with any other offer or applied to past services. Does not include applicable taxes, shop supplies, and hazardous waste fees. Limit one original offer per person. Other restrictions may apply. Void where prohibited. See Dealer for details. Can’t seem to find your Spare Key? Let us help! Save 10% on your Spare Key Replacement. Perfect for keeping yourself hydrated during those long days out at the beach! Save 10% on all Mercedes-Benz Drinkware when purchased at our Parts Counter. Happy National Car Care Month! What better way to celebrate? Save 10% on your purchase of Genuine Mercedes-Benz AdBlue at our Parts Counter. Whether you need parts for your Mercedes-Benz, AMG®, or Sprinter or Metris, we’re your trusted source in Honolulu. Contact parts with questions, or feel free to order online!